You have never seen a double disc pump like this. Behold the dawn of a new age of mobile double disc pumps. 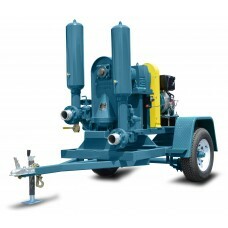 The Sludge Pro M-Series is available with any series of Sludge Pro that we manufacture. You select from either single axle or tandem axle trailers and smart options like electric brakes and government approved lighting packages.